Cirque shows are by far the most spectacular and imaginative performances I have ever seen! 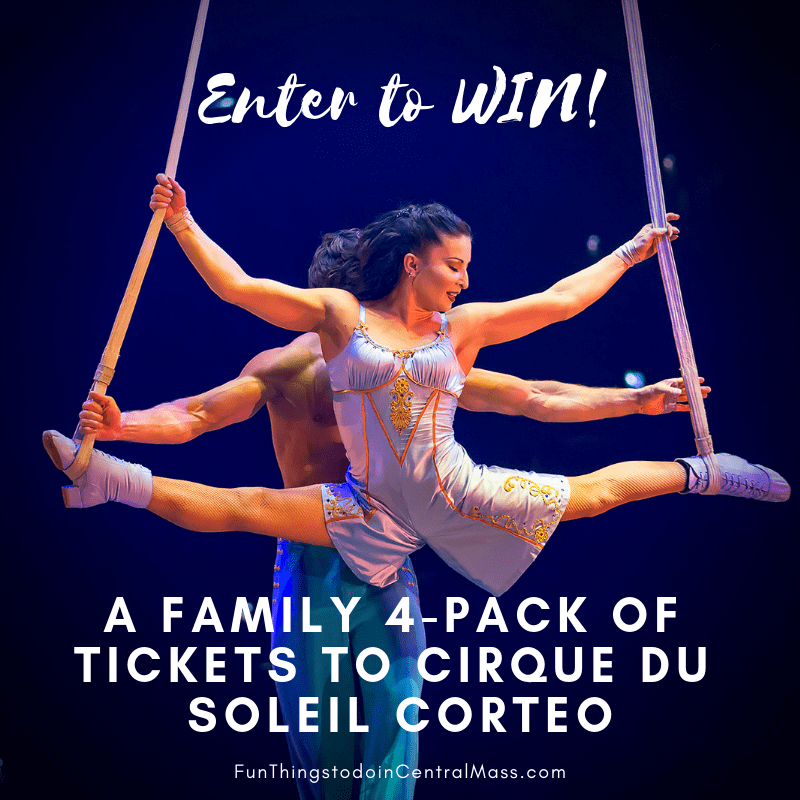 Whether you’re a fan of Cirque or a first-timer, you won’t want to miss this show! Corteo, the latest and most enchanting Cirque du Soleil’s arena production is now touring in North America. The show will visit Worcester at the DCU Center from January 3 to 6, 2019 for a limited run of six performances. Tickets for Corteo are available now online to Cirque Club members. Cirque Club membership is free and benefits includes access to advance tickets, special offers and exclusive behind the scenes information. To join, go to www.cirqueclub.com. The clown pictures his own funeral taking place in a carnival atmosphere, watched over by quietly caring angels. Juxtaposing the large with the small, the ridiculous with the tragic and the magic of perfection with the charm of imperfection, the show highlights the strength and fragility of the clown, as well as his wisdom and kindness, to illustrate the portion of humanity that is within each of us. The music turns lyrical and playful carrying Corteo through a timeless celebration in which illusion teases reality. The cast of Corteo includes 51 acrobats, musicians, singers and actors from all around the world! You could win 4 tickets to the January 3 at 7:30pm show! Winner has been emailed. Congrats A.T.! Would love to bring my kids to see this show! I’d love a chance to see this show! I will bring my three sons. I just got custody of my niece and nephew from DCF. I’d definitely take them and my daughter! Looks like an amazing show!! I’d bring my three kiddos! I would love to go, I will take my kids and husband. This looks like such an awesome show! I would love to bring my niece and her grandparents.